American EMS provides emergency and non-emergency medical transport services to medical facilities, nursing homes, and municipalities in Ohio. Aras is a developer and provider of product lifecycle management (“PLM”) software. The company's software platform, Aras Innovator, allows its customers to manage complex products and processes over the entire product lifecycle from concept through end of life, working across functions and supply chain partners. Artifact Uprising is an online provider of premium quality custom photo goods that creates tangible photo books, prints, and gifts for digital photos. Signature products include premium quality photo books whose interior pages are printed on 100% recycled paper and a collection of wooden products handcrafted with locally sourced reclaimed wood. CityBridge, a consortium that includes CIVIQ Smartscapes, operates LinkNYC with the City of New York. LinkNYC is a communications network that will replace thousands of pay phones across the five boroughs with new structures called Links which will provide superfast, free public Wi-Fi, and other consumer services and digital advertising. CIVIQ Smartscapes designs and manufactures public-facing smart communications infrastructure with a range of services and capabilities – all paid for through media. Comark designs and manufactures industrial computing system solutions built to operate reliably in environments that compromise most display terminals and computers. These systems are installed in military, marine, industrial, and commercial applications. Denver Glass designs, fabricates, and installs glass products for both residential and commercial applications across the Front Range of Colorado. First Water Systems provides a complete line of proprietary portable and permanent water purification solutions to hospitals and healthcare organizations, government agencies, universities, and the emergency management industry. Master Cutlery is a designer, manufacturer, and distributor of cutlery in the hunting & fishing, military and tactical, collectibles, and martial arts market segments. 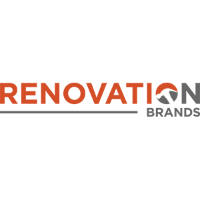 Renovation Brands is a manufacturer and online retailer of home decor and building improvement products including fireplace mantels, decorative ceiling and wall tiles, floor and wall registers and electric fireplaces. RYZE Claim Solutions is a full service property and casualty insurance claim adjusting firm providing many claim management functions such as (i) claim adjusting (ii) third party administration (iii) subrogation and (iv) catastrophe claims. Rite-Air is a commercial HVAC & Refrigeration maintenance and service company serving the Mid-Atlantic region. SerenaGroup is a leading clinical research company operating hospital-based wound care and hyperbaric oxygen therapy centers across the US, providing novel treatment in all patient care settings. Summit Sports is a multi-channel retailer of action sports equipment and apparel, operating the websites Skis.com, Snowboards.com, Inlineskates.com, Wateroutfitters.com, Campgear.com, and austinkayak.com. Sunrise Transportation is a provider of student transportation in the Chicago, IL and Hartford, CT areas with a focus on special needs students. TC Studios is a commercial photography, video and production services firm with full-service studio capability. It serves the advertising, marketing and public relations impressions requirements for substantive retailers, manufacturers and distributors of high-design consumer and home building products. Venture Technologies offers a diversified set of IT solutions including product procurement and sales, cloud and hosted solutions, and professional services. V12 Data is a provider of omnichannel marketing data and data services. Viking Restaurant owns and operates 25 Burger King franchised Restaurants in the greater Minneapolis-St. Paul area of Minnesota. WorldAPP provides data collection and business process management software solutions to enterprise customers.